and may even get married. 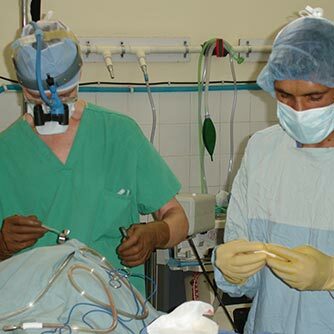 Because Asians statistically have the greatest incidence of cleft lip and palates, Dr. Hobbs has travelled most frequently to this region of the world. Each trip is unique because it does not include the same group of medical professionals and is rarely to the same place. The pages listed in the right hand column will gradually document these trips back to his very first trip in 1979. 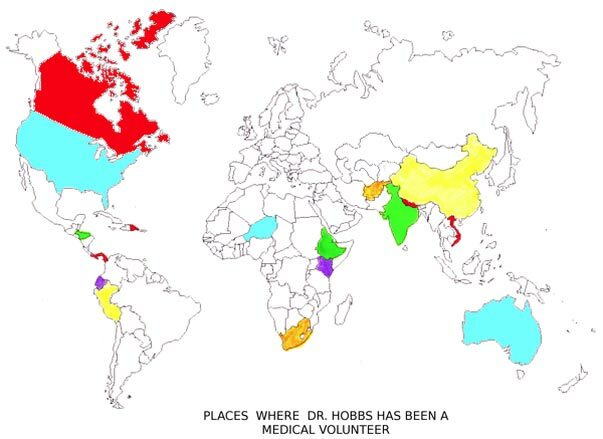 The world map on this page depicts many of the countries in which Dr. Hobbs has served.